Remember the huge SanDisk storage sale that Amazon had on Thanksgiving day only, offering deep Black Friday discounts on memory cards, SSD drives and more? Remember how it was over before Black Friday actually arrived since it was a one-day sale? Well if you missed any of the deals, we’ve got great news: The SanDisk storage sale is back on for Cyber Monday 2017! 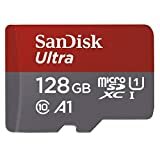 Amazon is offering up to 30% off some of SanDisk’s hottest sellers, and you definitely should check them out. After all, the new gadgets you ordered on Black Friday are going to need storage, right? 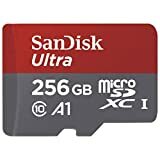 Just a few examples of the discounted items you’ll find are the SanDisk Ultra 256GB microSDXC UHS-I card, Sandisk Ultra 128GB Micro SDXC UHS-I Card, SanDisk 64GB iXpand Base, SanDisk 1TB Extreme 500 Portable SSD, and SanDisk Cruzer CZ36 64GB USB 2.0 Flash Drive. 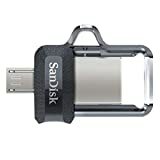 You can shop the full SanDisk sale right here, and some of our favorite deals are listed below. We’re not sure if this is a one-day sale again or if it’ll last through the end of Cyber Monday Deals Week, so your best bet is to grab anything that looks appealing today while you can.